Mice are some of the most common household pests. There are a few tell-tale signs that your home may be under attack from these nasty little rodents. Finding droppings in your home is one of the clearest (and most disgusting) signs that you might have a mice problem. Mice droppings are about the size of a grain of rice and can vary in colour from dark brown to grey. Droppings can appear anywhere but are often found in cupboards, shelves, under sinks, in corners and along walls. If you find droppings in your home, make sure you dispose of them carefully, as they can be full of nasty bacteria. You may be able to identify the smell of mice urine in your home; another tell-tale sign of a potential infestation. Mice just love to get comfortable in your home and will build their nests almost anywhere. Just like us, mice like to be warm and cosy. Mice will often shred paper, cardboard, fabric and string in order to build their nests, but can make do with anything. Some mice even use the stuffing from your pillows or mattresses for an extra comfortable home. To keep warm, mice often build their nests behind appliances like ovens and fridges. 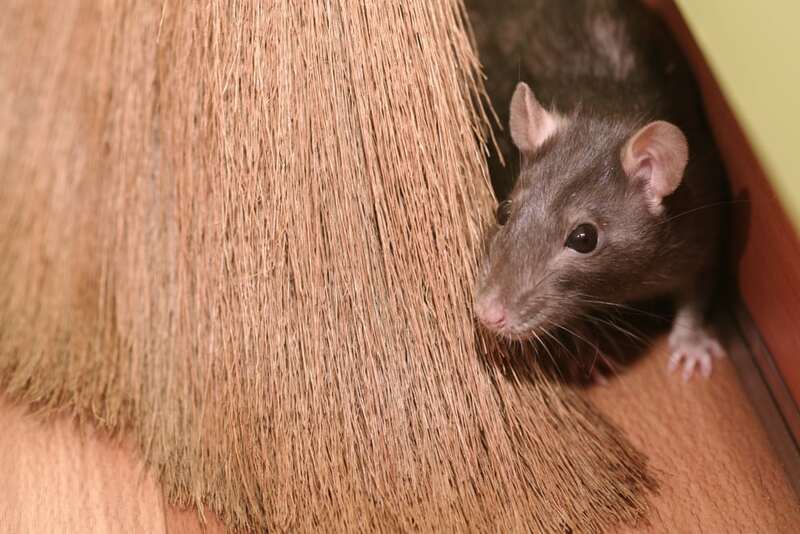 As they like to be close to food, kitchen cabinets are also prime real estate for rodents. Even if you come across an empty nest, mice could be lurking in a different part of your home. Are you waking up in the night to suspicious scuttling sounds? Do you hear unidentifiable scratching in your walls during quiet moments? If so, you may be experiencing a mice infestation! Though the saying goes “as quiet as a mouse”, in reality, these pesky rodents are anything but quiet! Mice are busy animals. With a lot of nest building, eating, socialising, and mating to do, they can make a lot of noise! As you might know already, mice are at their most active during the night. If you’re nodding off to the sound of little paws scurrying along the floor, you’ll know something isn’t right. A particularly large infestation can even keep your family awake when trying to sleep! Though they may be small, a long-term mouse problem can actually cause significant damage around your home. Mice love to chew on anything and everything. Look out for gnaw marks along your walls, inside cupboards and behind appliances. If you start noticing suspicious holes in fabric and paper items around your home, this could be due to the nibbling teeth of a family of mice! Mice can also leave greasy marks and smears along your walls due to the oils in their fur. If you notice a greasy steak anywhere it your home, it could be caused by nasty rodents. If you notice suspicious droppings, noises or scratches, it may be time to call in qualified pest control experts like the team at AGJ Pest Management. Contact AGJ Pest Management for a quality pest inspection and control.